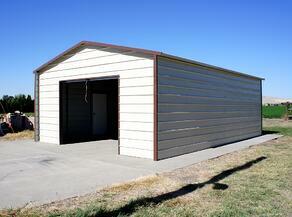 Metal Buildings - Carports, Garages, Barns, Boat Covers, RV Parking, and much more. 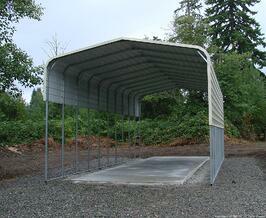 When you are buying and installing a car port we understand that time is of the essence. 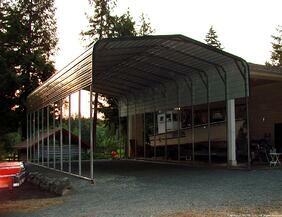 Why would you want to wait 30 weeks to get your carport installed? 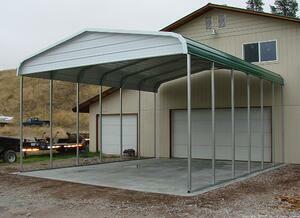 IDAHO OUTDOOR SOLUTIONS will have your Carport delivered and installed in 10 weeks or less (in most cases)! 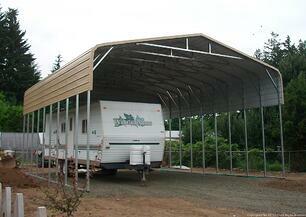 We offer custom metal carports and buildings up to 60ft wide and any length long. 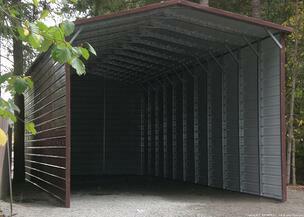 We can install on any surface such as dirt, gravel or concrete. 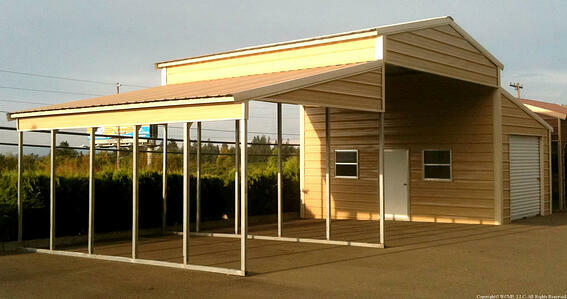 Using concrete anchors or 3ft mobile home anchors we can secure your carport against the high winds. For tall buildings, we recommend additional structural support such as bows, braces, gabled ends, or vertical roofing. Some consumers are worried about the high winds in the area. 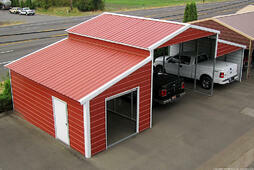 For these consumers we recommend the A-frame with gabled ends. 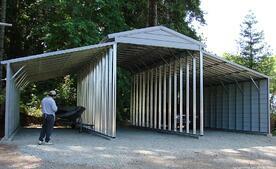 Check out these frequently asked questions or contact a carport specialist today! 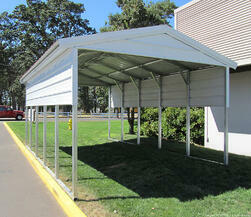 Carports are very cost effective way to provide protection from the elements. Our customers have used carports to provide shade for animals, shelter for hay and grain, and even covered picnic areas and parks! People who own RV's and campers understand how much beating their roofs take. They also understand that it can cost them as much a $10,000 every few years to put a new roof on an RV. So many of our customers protect their investment with an inexpensive RV cover. 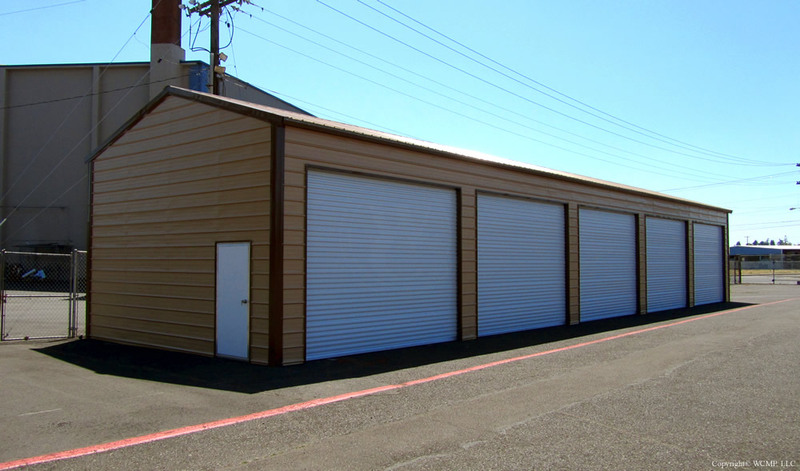 Building a single car garage onto an existing home can cost as much as $20,000. 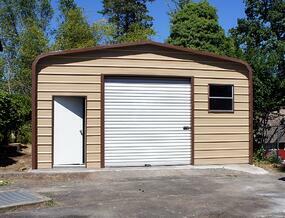 However, our metal garages are much more affordable. A barn is suitable when a lot of space is needed, but each section will serve a different purpose.